Winemaker’s Notes: Deep purple in color, the wine brims with aromas of wild blueberries, cassis, and pleasing notes of forest floor. The palate is initially treated to dense flavors of plum, milk chocolate, and framboise. Following, a delightful interplay of violet, anise, black tea, and brown spices soon emerge giving further character to the wine. Silky tannins encapsulate things with a very pure and true finish. My Review: So back in November I got to try some Locations Wines from outside the US (Spain, Italy, and Argentina to be specific). I was, by and large, impressed with them, and jumped at the chance to try another batch of wines, including Washington, California, and Oregon. I’m through two of them so far (Oregon hasn’t been opened yet), and I have to say…I’m impressed. 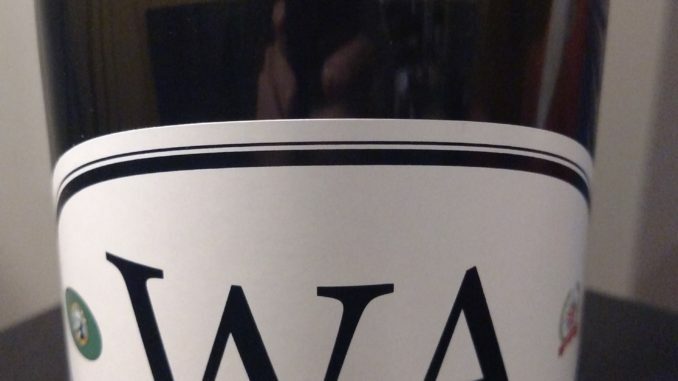 The WA4 wine from Washington is the first of the bottles I opened, and I really wish I had another bottle of it. A nice deep purple in the glass, the wine showed notes of blueberry and earth on the nose for me. In the mouth the wine showed raspberry, black tea, and spices on the back end with a nice smooth finish that made the wine incredibly sippable, easy to pair with food (I did it with a charcuterie platter), and shocking considering it sits at 15% alcohol by volume and doesn’t in any way drink “hot”. For under $20 this wine is an amazing value. I was already impressed with the Locations line of wines, and Washington is really upping the game for me. If you see this on the shelves at your local wine shop grab a bottle – you won’t regret it.